"Anyone who writes down to children is simply wasting his time," E.B. White observed in a wonderful 1969 interview. "You have to write up, not down." I'm excited to bring you three lists of science books recommended by people whom I respect. There's surely one for each of us depending on our personal interests or curiosity. Also, here's a great source for books and more about birds: Cornell Lab of Ornithology. Have wonderful holiday preparations with your family. Take time to get outdoors, rain or shine. Be with your children in the woods, meadows and beaches! I am thankful for you, our readers. Please recommend our newsletter to new friends so they won't miss any fun events! In these five children's books, wickedly talented authors and illustrators take on the science of supernovas, worms, stomach rumblings, and more with impressive style. These kids' books spark science curiosity with playful illustrations and facts to match. Every child deserves to learn moon facts from a space-cat wearing a tiny fedora. 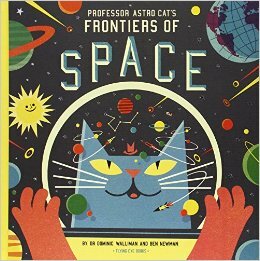 Written by physicist Dominic Walliman, with pictures by award-winning illustrator Ben Newman, Professor Astro Cat's Frontiers of Space explains everything kids need to know about our universe and how we explore it. Ever wonder how rockets work, how spacesuits evolved, or just how big Earth is compared to our neighboring planets? Professor Astro Cat breaks it down with clever diagrams and ingenious comparisons. (If Earth were a cherry tomato, Mercury would be a peppercorn and Jupiter, a watermelon!) Best of all, like any good scientist, Walliman doesn't claim to have all the answers. Sections on the future of space travel and the possibility of extra-terrestrial life leave the mysteries of deep space open for future scientists to unravel. Ernest Shackleton once wrote, "I believe it is in our nature to explore, to reach out into the unknown. The only true failure would be not to explore at all." That passion for adventure comes to life in Shackleton's Journey, William Grill's beautiful picture book about the explorer's failed attempt to cross Antarctica. Grill's colored pencil drawings are lively and charming, with an attention to detail. Elaborate visual lists immortalize every one of Shakleton's 69 sled dogs and detail each piece of equipment packed on board the explorer's ship, Endurance. Meanwhile, vast seascapes convey Antarctic loneliness and the peril of an ice-packed sea. For the kid who lingers over the cases of taxidermied animals at the natural history museum, Animalium is the ticket. Consider this oversized encyclopedia a museum visit between two covers. Katie Scott and Jenny Broom divide the animal kingdom into "galleries," arranged in evolutionary order from sea sponges to mammals. Some showcase animal families; others explore habitats or zero in on a single species. Scott's full-page pen and ink spreads have the timeless elegance of a John James Audubon print, and Broom's prose moves nimbly between broad facts to curious details. Take, for example, the book's account of frog metamorphosis. The illustrations carefully record the stages from spawn to adult, while this tidbit-Darwin's frogs nurture their young in their mouths-is memorable enough to stick with readers long after their tour. For every gross or awe-inspiring fact about the human body you'll find in Infographics: Human Body, designer Peter Grundy has a stylishly minimalist infographic to match. Take, for example, the image exploring the body as a "factory." Grundy's blocky human icon sports a pencil leg (we each contain enough carbon to make 900 pencils), a cannon firing from its backend (humans produce one liter of gas every day), and a cleaver hovering above an itchy pet (humans contain enough sulphur to kill a dog's fleas.) With bold colors, simple shapes, and subtle humor, Infographics explains complex bodily processes in kid-size pieces. Elise Gravel's The Worm is the second book in her Disgusting Critter series, which introduces kids to the charms of such squirm-inducers as head lice, flies, rats, slugs, and spiders. In this installment, Gravel covers basics like worm anatomy and diet with simple text and bold, hand-lettered typography. But it's the earthworm protagonist, sporting a beret and greeting readers with a worldly "Énchanté! ", that helps make the book so entertaining. It has a witty quip for every wormy fact (at one point, the hermaphrodite exclaims "You look ravishing today, dear!" to its tail). But even the book's more aesthetically challenged creatures-tapeworms, I'm looking at you-can't help but woo with their cute dot-eyes and expressive mouths. The Worm is gross, silly, and informative-the perfect combo for maximum kid appeal. From Science Friday come some wonderful science books that you might consider gift-giving this season. Contributors to this list are science writer Deborah Blum and Brain Pickings editor Maria Popova who joined Ira to highlight science books to amuse and inspire your giftees-and maybe even prompt some DIY projects this holiday break. Have your own book suggestion? Email us! 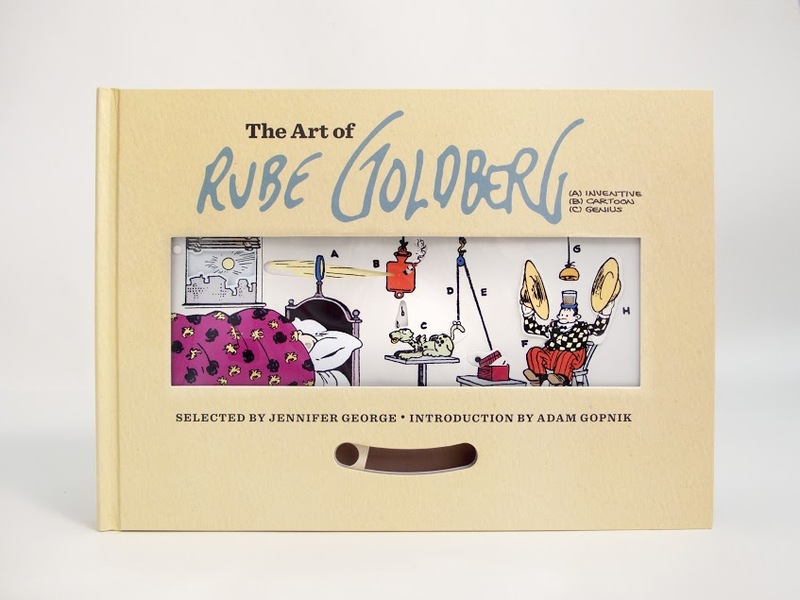 For the basement inventor, tinkerer, or Sunday funnies fan, you won't do better than The Art of Rube Goldberg, a collection of comics and sketches selected by Goldberg's granddaughter, Jennifer George. For the cover, paper engineer Andrew Baron designed a kinetic sculpture replica of Goldberg's 1939 cartoon "Simple Way to Get Fresh Orange Juice Upon Awakening." As with typical Goldberg devices, the mechanism is less than "simple": Move Baron's paper pull-tab from side-to-side, and watch a "pet Albanian ook" twitch its tail, causing an orange to get squeezed between two brass cymbals. And that's just the beginning. Paging through zoologist Ross Piper's Animal Earth, you quickly realize: In the vast animal kingdom, the province of cute animals is small. Animal Earth brims with mugs only a mama hagfish could love. But that's probably why this book is so captivating. Stunning photos, scanning electron microscope images, and illustrations give us a view into the secret lives of water bears (tiny, ponderous creatures that live in aquatic moss; see a video here), sea squirts (which collect in large flower-shaped colonies), and strange worms (so mysterious biologists call them, well, "strange worms"). 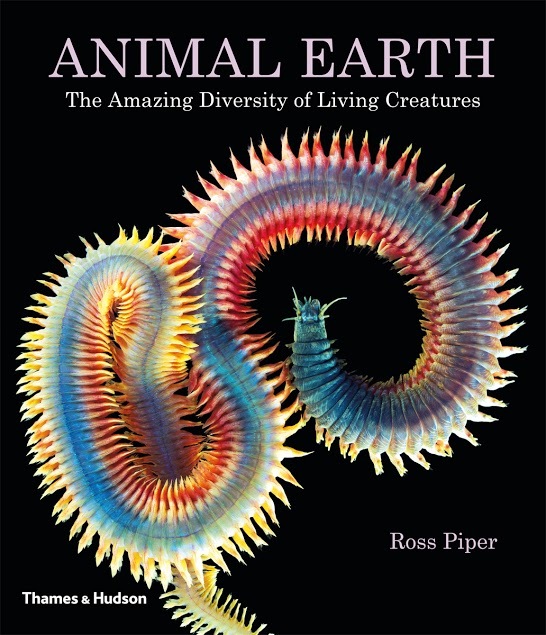 Piper's text explains how this awe-inspiring diversity descended from a common ancestor as many as 4 billion years ago. Jet packs have been a scifi fantasy for so long, your giftee might not realize they actually got off the ground. They did-briefly-as readers of Steve Lehto's lively history of these futuristic devices will discover. 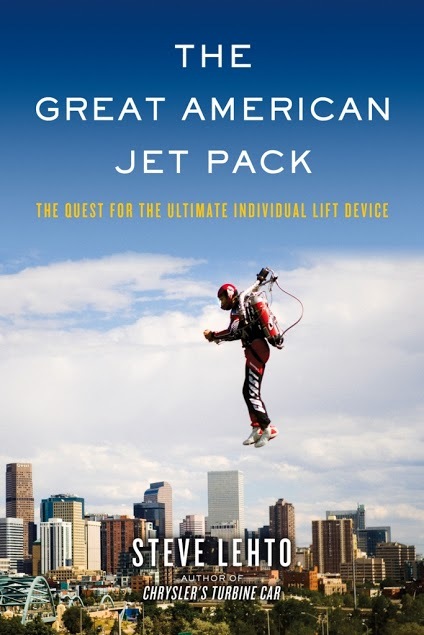 The Great American Jet Pack tells the story of a machine that, despite technological advances, always seems just out of reach. In their attempts to pioneer personal flight for the average Joe, engineers embraced everything from "flying shoes" and "jump belts" to hovering platforms, often to arrive at the same conclusion: Jet pack flying is better left to the test pilots. As one such pilot joked, flying a "rocket belt" was like walking across a gym-on top of a basketball. 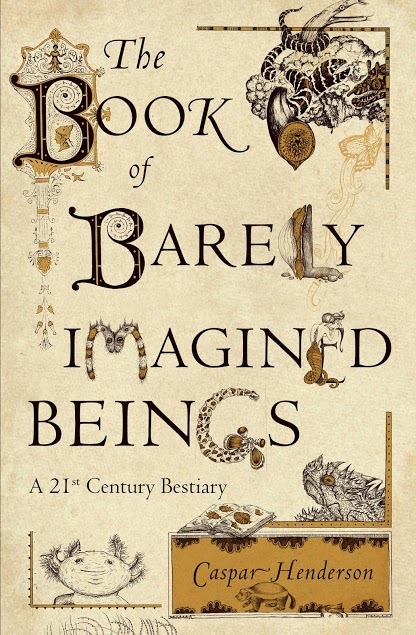 Caspar Henderson's The Book of Barely Imagined Beings is an A-to-Z guide to the strange creatures that populate our planet, told in the form of a medieval "bestiary." The bestiaries of old were catalogues of animal life both mythic (dragons) and real (salamanders), containing, Henderson writes, "zany pictures, bizarre zoology, and religious parables." While the beasts in Henderson's modern take are all real, his book retains the charming eclecticism of those old tomes, mingling scientific descriptions with literary and mythological lore (though fact is clearly delineated from fiction). A chapter on the infamous "honey badger," for instance, references modern zoology, Herodotus's The Histories, the language of Tanzania's Hadza tribe, and the infamous internet video "The Crazy Nastyass Honey Badger." It's no jet pack, but a hovercraft might just be the closest your nieces and nephews will come to manned flight this holiday season (outside of the airplane ride to Grandma's house). Luckily Stephen Voltz and Fritz Grobe (you might know them as "the Coke and Mentos Guys") have made constructing such a device relatively easy, and understanding the science behind it even easier. 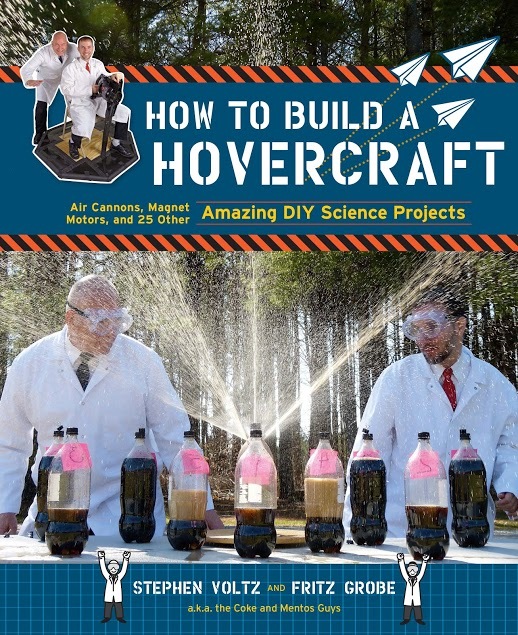 But the hovercraft is just one of the DIY experiments Voltz and Grobe outline in How to Build a Hovercraft. Other projects range from simple paper-and-tape affairs (such as a nifty visual illusion that causes the eyes of a paper cutout to follow you around a room) to complex constructions (a plastic tub air cannon). Before you gift, know that many projects require adult help, and you might want to consider just how soda-soaked you'd like your lawn to get. Bluebird Moms Pass On Aggressive Tendencies! Annie Minoff is Science Friday's SciArts producer. She's visited Olympic ski jumps and a nuclear reactor, all in the name of science. Maria Popova is the editor and founder of BrainPickings.org and is based in Brooklyn, New York. Deborah Blum is the author of The Poisoner's Handbook (Penguin, 2010) and a journalism professor at the University of Wisconsin-Madison in Madison, Wisconsin. Check the calendar for January Open Houses! click to view website Exciting Science! Details: Clip-clop through Downtown Santa Cruz via the original form of horsepower. Details: Holiday caroling for both kids and adults!